Home / Blockchain / Computer and Internet / Cryptocurrency / Cyber Security / Softwares / Technology / How are you being Cryptojacked? How are you being Cryptojacked? "Cryptojacking is the biggest threat right now". With the recent craze of Crypto-currencies around the globe, Cryptojacking is soon becoming a menace for Cybersecurity experts. In this post, I would like to tell you, how you may become a victim of Cryptojacking. 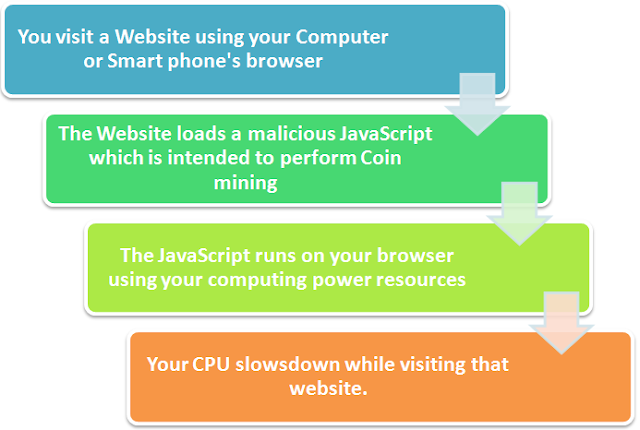 Cryptojacking is basically using your computer or computing resources which can range from a small Smartphone to a Large Server to mine Crypto-currencies without your knowledge. Basically Cryptocurrencies like Bitcoin or Ethereum is a product derived out of one of the many use cases of Blockchain technology. Recent spike in the prices of Bitcoins can be attributed to its Demand Supply gap. The fact is, the number of Bitcoins or any crytocurrencies all over the world is limited, that's the reason for its soaring prices. If any one wants to mine cyptocurrencies, they can easily do so, but they need huge computing resources in order to achieve that. Blockchain is a Distributed Ledger Technology which needs many other computing devices called nodes in order to record transactions which cannot be altered. Unlike other cyber threats, this would not affect your privacy or misuse your personal information like stealing passwords, compromising identity, etc. Instead it will use your computer's power and CPU to mine currencies for them without affecting you. But the indirect impact would be loss of computing resources in terms of power and energy consumption. 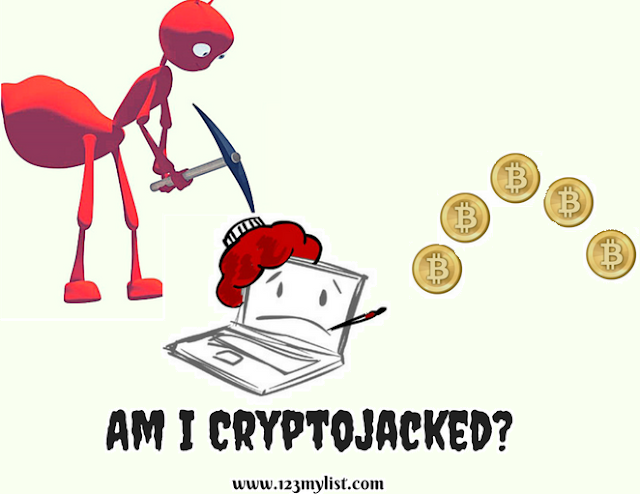 Even if you are visiting credible websites, your security against cryptojacking is not guaranteed. In a recent event, website like MSN was also affected with this menace. Since crypto currency mining needs a lot of computing resources, leveraging a few websites may be a very slow process to achieve mining. Thus miners have tried to jack a common link which is used by many credible websites.